Bubba: Anyway, like I was sayin’, shrimp is the fruit of the sea. You can barbecue it, boil it, broil it, bake it, saute it. Dey’s uh, shrimp-kabobs, shrimp creole, shrimp gumbo. Pan fried, deep fried, stir-fried. There’s pineapple shrimp, lemon shrimp, coconut shrimp, pepper shrimp, shrimp soup, shrimp stew, shrimp salad, shrimp and potatoes, shrimp burger, shrimp sandwich. That- that’s about it. That’s what’s rattling around inside my brain these days, but forget fruit of the sea, I’m talking pumpkin: You can roast it, puree it, bake it, grill it, boil it. Dey’s uh, sweet pumpkin, savory pumpkin and sweet & savory pumpkin. Pumpkin custard, pumpkin empanadas, pumpkin pie. There’s pumpkin ice cream, pumpkin cheesecake, pumpkin creme brulé, pumpkin soup, pumpkin roll, pumpkin curry, pumpkin risotto, pumpkin gnocci, pumpkin muffins, pumpkin sausage. That – that’s about it. Oh but it’s not. 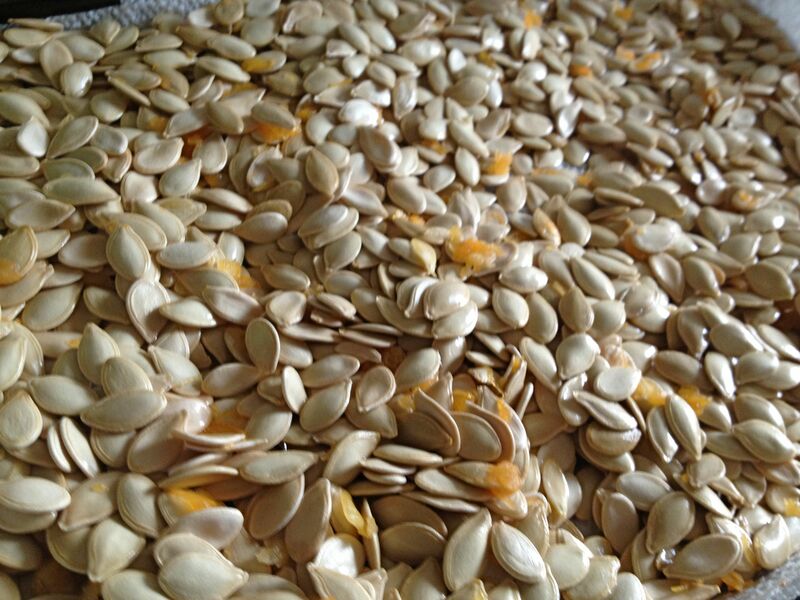 Not even close – I haven’t even mentioned the seeds…I’ve got a veritable pumpkinpalooza planned for October and I’m pretty jazzed up about it. 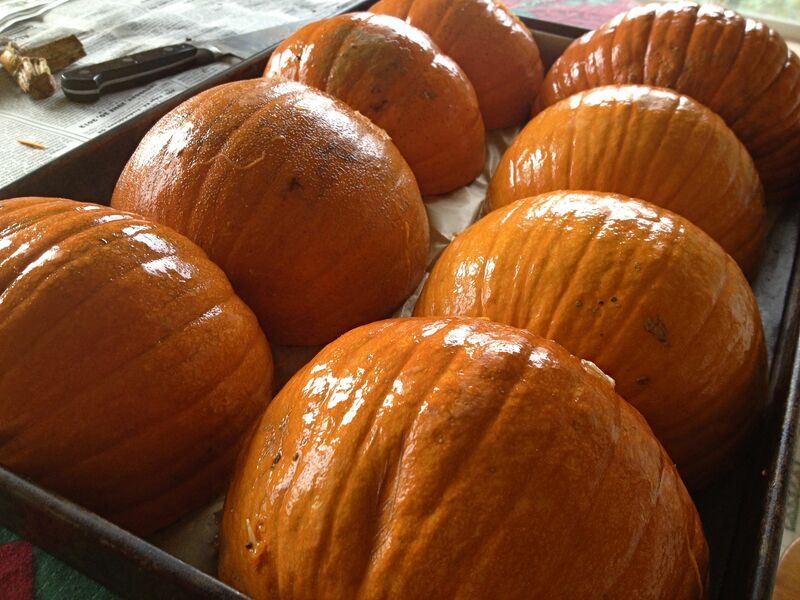 What pumpkin favorites do you look forward to this time of year? I’m right there with you! I love pumpkin EVERYTHING! I love it for a while until one day I don’t. That’s the beauty of seasonal eating; everything has its day. So true, I think I wouldn’t get nearly so excited about it if I ate it every day of the year – seasonal eating really does keep food fresh and interesting in some ways! 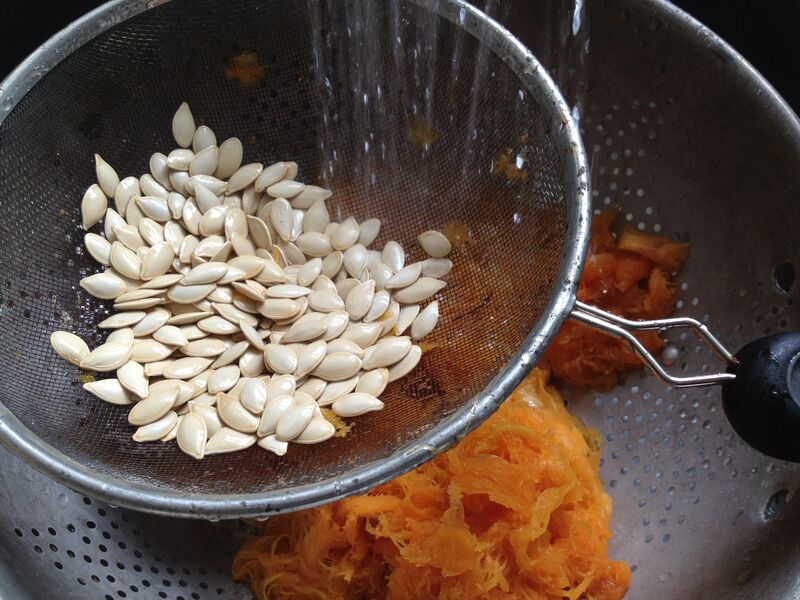 Roasted pumpkin seeds are my number one favorite fall treat: so delicious! 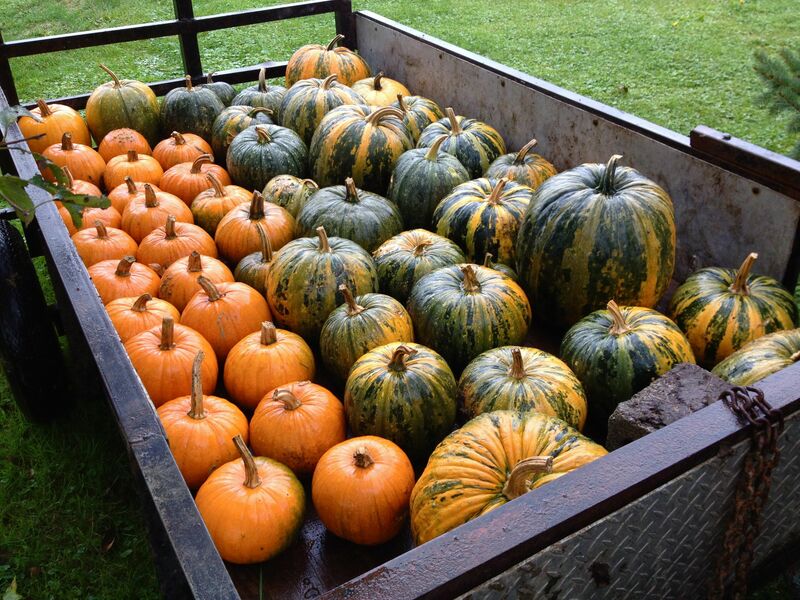 Of course, I love the pumpkins themselves, mostly for things like cookies, muffins and breads. Bring it on! It feels so abundant to have so many toasted seeds, but somehow they don’t last nearly as long as I expect them to, lol. You must hold her down and get the recipe out of her. Unless, of course, it’s that special flavor that comes from being baked in somebody ELSE’s oven! 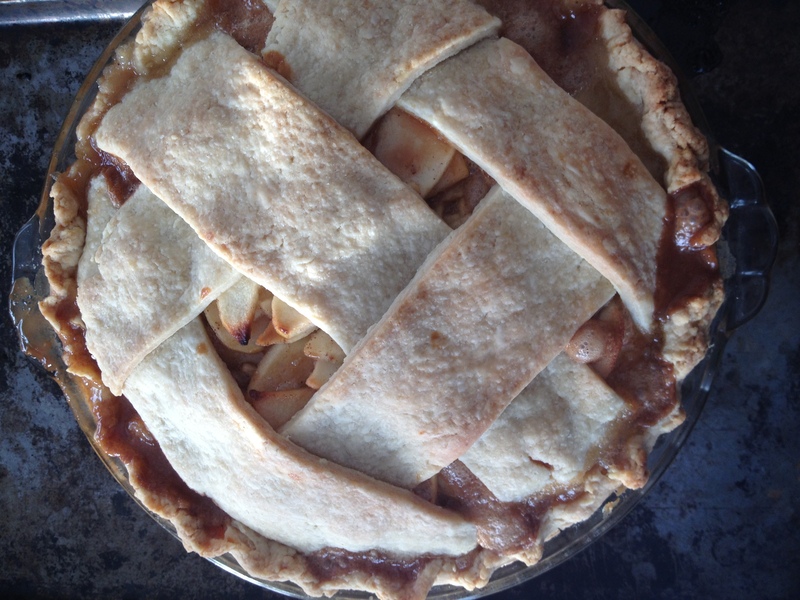 Oh, she shares the recipe, but I think she’s holding out – several people in my family have tried it and it’s never as good. All of those from your garden? That is amazing! Love it. And I’m also a seed fan. 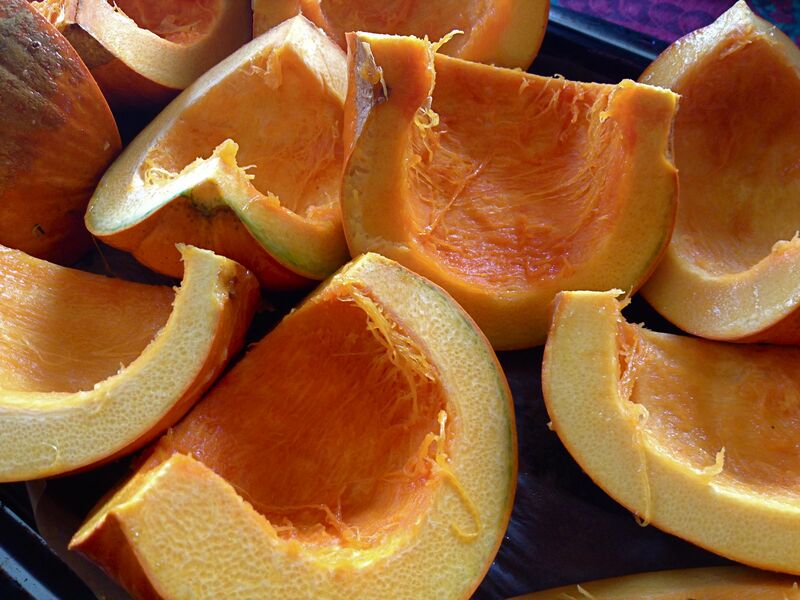 I grew a fodder pumpkin this year that has hull-less seeds – they’re delicious!